Washington: Everyone involved in the Greek debt negotiation is working hard to minimize risks to financial stability, International Monetary Fund (IMF) Spokesperson Gerry Rice said during a regular briefing. "Everyone at all sides of this issue is working very hard to ensure that any risks to financial stability could be minimized and addressed. I think everyone is working in very good faith on all sides to make sure that would be the case" he said. The loan agreement between Greece and its European partners will expire at the end of February, and some worried that the country could be forced to exit the euro zone. Greece's new government submitted a formal request to extend its rescue program by six months earlier Thursday, but Germany has rejected the request. To distinguish the IMF program from the current discussion among European countries, Rice said "IMF program supporting Greece is scheduled to run until March 2016. It does not need to be extended at this point." On Ukraine, Rice said the IMF is confident that Ukraine should get $40 billion financing package, as announced last week in the form of Staff-level agreement. 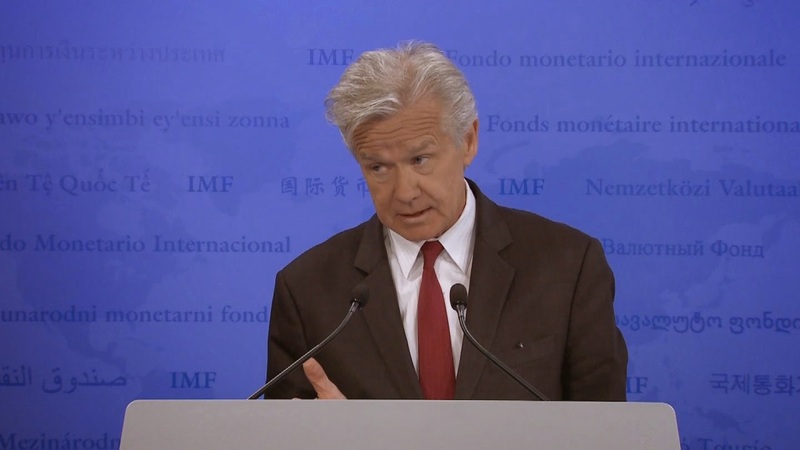 "IMF has already made a commitment. Some bilateral and multilateral donors have already made their commitments as well. There may be more commitments. In addition, the Ukrainian authorities have already announced that they are planning to engage with holders of their sovereign debt with a view to addressing the debt issues," he said. The IMF's board is set to vote on Kiev's financing package at the end of February or in early March. Turning to Africa, Rice addressed an online question about a possible IMF loan to Ghana, saying "An IMF team plans to be in Ghana February 19 until 26, with the objective of finalizing discussions with the authorities in several areas, including best policy response to recent decline in oil prices and other issues related to the economy."